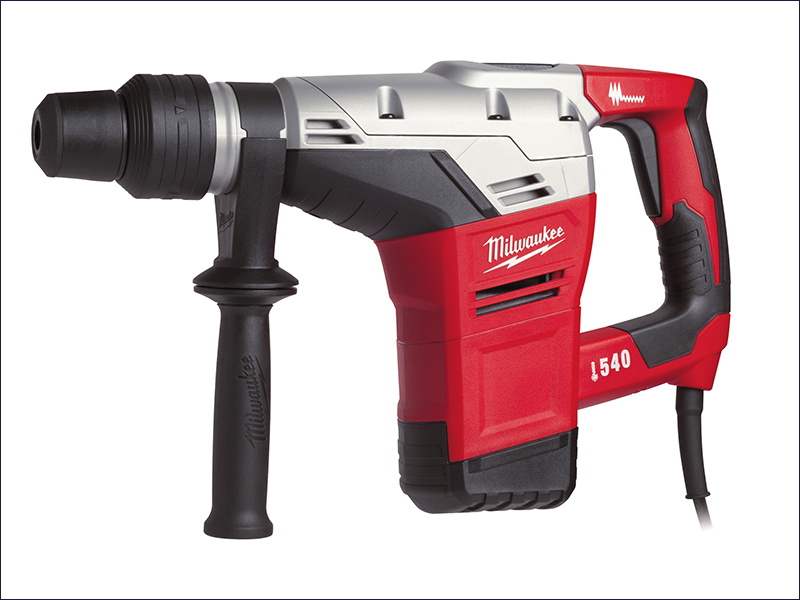 The Milwaukee 540S Combi SDS-Max Breaking Hammer is a 2 mode SDS-Max combi hammer, suitable for hammer drilling and chiseling. Its roto-stop and multi position chisel function give 12 different positions to optimise the working angle. The Kango 540S has robust magnesium gear housing for tough environments, exact seat fitting of gear components and better cooling. Its safety clutch protects both the operator and machine if the drill bit jams. Low vibration construction enhances usage time per day, and a soft-grip main side handle provides comfort. Mode: Hammer Drill & Chisel.